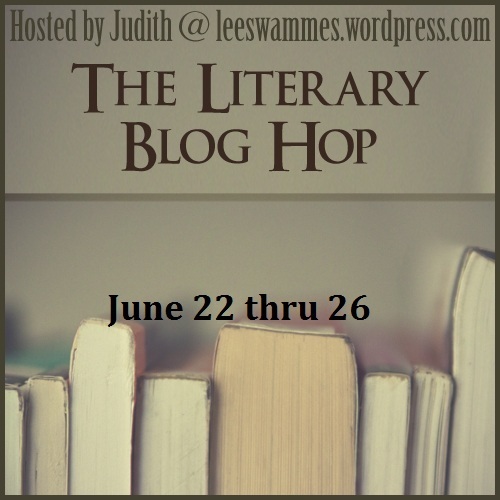 The Literary Giveaway Blog Hop is an event taking place from Saturday June 22nd until (and including) Wednesday June 26th. If you’re a book blogger and you’d like to give away a book to your readers, maybe to show your appreciation or because you have a special celebration, this is your chance to join up with others. Most giveaway blog hops seem to be directed towards young adult and romance audiences. Those hops are not so ideal if you want to give away more literary books. This event is an opportunity to give away prizes and get more traffic to your blog. You will run your own giveaway (a blogpost on your own blog), but it will be linked up to all other participants via a links list. That way, not just your readers, but also the readers from the other participating blogs will stop by your blog. You can offer one or more books, a gift voucher (for instance, to Amazon or Book Depository), or anything else related to books and reading. There is no minimum or maximum value that your prize should have. Last day for signing up is June 19th. Only sign up if you intend to have a giveaway post up on your blog on June 22nd. You cannot sign up via the form anymore. If you are a late entrant, please write to leeswammes @ gmail dot com and I’ll add you to the list. I’ll add your blog to the list with links below once I’ve seen that you’ve filled out the form. You cannot add yourself to the linky list. Last signup day: June 19nd!! If you have questions, just ask in the comments, or email me at leeswammes at gmail dot com. You’re one of the first to sign up, Birgit. If I remember well, it was the same last time. Thanks for the support! I’m in! Always have a lot of fun hopping and thinking about which book to giveaway! That’s part of the fun, isn’t it, Sam? Sarah, there is no such thing as a dumb question! It can be any book. It’s just that YOU have to pay for the book and/or the postage. Yay! Please count me in. Are Kindle books allowed for the giveaway, or just paper/hardcover ones? Sarah, I way, way prefer people to giveaway paper books, but eventually it’s up to you. Have fun with the blog hop! Okay, one more question and I’ll stop. Does Stephen King’s Dark Tower series count as literary (I’m assuming his horror doesn’t)? If not, I can think of another book or do an Amazon gift card, etc. Just wondering because the Dark Tower series is a major inspiration for me. Sarah, I haven’t read it, so I can’t be sure. But I would say his 11/22/1963 counts, so if it’s similar to that (in some ways) then YES! Do ask if you have any other questions. I hope you’ll join in! Fabulous! Love these hops, thanks for hosting another. I’m in! Good to have you, Jennifer. I’m in! Thanks for organising this great event Judith. Nice to have you, Jo! This is a great idea, I’m really excited for it! Hannah, what a pity you can’t join in . Maybe next time. A Richard and Judy book was a great idea (maybe I’ll steal it). Thanks for tweeting about the giveaway. Unfortunately, I can’t let everyone individually know about the blog hop but before you know it, you’ll be fed up with all the emails and tweets that come by your screen about it. There’s no way you can miss it if you subscribe to my blog / Twitter etc. Feel free! There are some great titles in there. Hi! I am Shabbat observant so my post regarding the giveaway would go up on Sunday June 23rd. Is that ok? Also, I’ve never done a giveaway, though I’ve been blogging since October. I do want more traffic so I’m into this! Can you recommend what language to use and what procedures work best? Both for picking the winner and for sending out the prize/s. Thanks! Kelly, that is fine – but keep in mind a lot of the hopping is done on the Saturday (when people first see the blogposts with the giveaways). You’ll miss out on the first run of people – but if you know how to do it (or maybe I can explain), you could schedule your post in advance (e.g., on Thursday or Friday) so that it goes live on Saturday. Would that be an option? If not, then Sunday is absolutely fine too. Ohhh yes! Now I remember! 😀 Thanks!! Yeehah!!! Great to have you, Adam! Thanks for running this again Judith, I am looking forward to joining in again this time. Please Judith, tell me this will come with instructions!! No instructions, Bettina. 😦 Thing is, I only know this for wordpress (very easy) and I assume it’s also very easy on blogger. If not, leave it out (this IS in the instructions: “if you don’t know how it works, don’t do it, just make sure you have a link to my post with the linky list” – that’s the post that I will write and publish on the day the giveaway starts). Meanwhile, if you want, try and see how you can insert html in your post, otherwise, no worries! Any more questions, just ask. Good to have you in the blog hop! Thanks for the explanation, Ciska. That should be easy enough to do. Yay! Good to have you, Kate. Is it against the rules to make an unofficial post before the 22nd to say what books you’re giving away? Sarah, no such rules! If you’d like to do that, go ahead! You can use Raffle copter, random.org. You can have comments as entries or use a Google form. Whatever you prefer. Having a new winner every day is not so handy, because the majority of people probably only visit once. And the idea is to have one dedicated giveaway post that mentions the blog hop and has the list of all the other participants. Other than that, you are free to do this any way you like. Hope that helps. Please ask if you want to know more. You can also email me if you prefer. I’m looking forward to doing another of your Giveaway Hops! Thanks for hosting this again!